A comic book adaptation, Scott Pilgrim vs. The World goes for video game style and gets stuck in mind numbing repetitive hell. 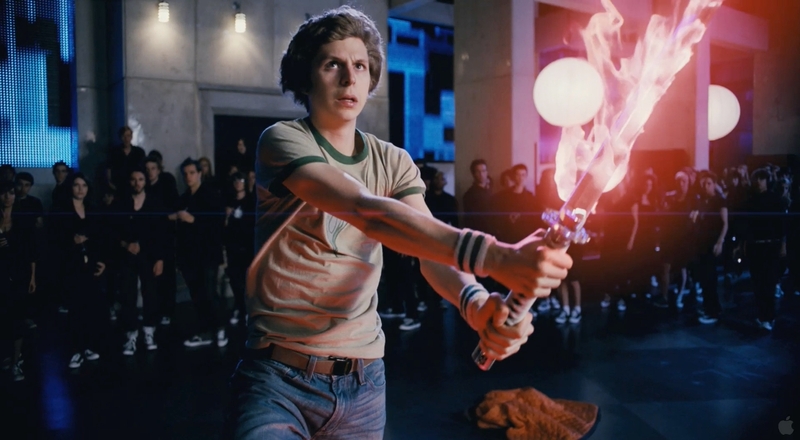 In Toronto, slacker Scott Pilgrim (Michael Cera) is a 22 year old bassist in a local rock band. Still not over being dumped a year ago by burgeoning rock star Envy Adams (Brie Larson), Scott receives a lot of ribbing from his friends including band drummer Kim (Alison Pill) and his sister Stacey (Anna Kendrick) for starting a relationship with 17 year old high schooler Knives Chau (Ellen Wong). But he is soon infatuated by American Ramona Flowers (Mary Elizabeth Winstead), and for a while neglects to tell Knives that he is no longer interested in her. As his relationship with Ramona gets serious, Scott learns that he will have to engage in combat with all seven of her exes. An adaptation of the graphic novel series by Bryan Lee O'Malley directed by Edgar Wright, Scott Pilgrim starts out brightly enough. The first 20 minutes introduce Scott and his small but quirky ecosystem, and it's a funny look at the world of slacker twentysomethings too cool to notice their accelerating sideways drift. The dialogue is sharp, the editing crisp, and the film pops with energy as Wright throws bucketfuls of comic book style onto the screen. Then Scott meets Ramona's first ex-boyfriend, and the film disintegrates in a hurry. Suddenly Scott Pilgrim defaults to a Mortal Kombat-type video game with cartoon levels of excessive violence, except that there is no game, just a repetition of the same CGI-enhanced visuals and inane taunting dialogue between combatants, about seven times over. 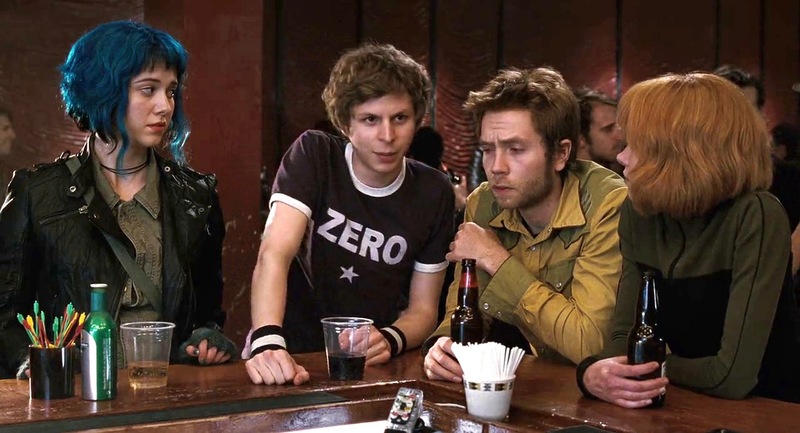 Once is fun but silly, twice is a revelation of intellectual bankruptcy, and by the time the seventh round of ludicrous combat splatters across the screen, Scott Pilgrim is racing breathlessly towards oblivion. An excavation of the film's rubble would find basic metaphors about fighting through the ghosts of relationships past and confronting thyself to find true happiness. The messaging is delivered in the same gharrish colours as the film's visuals, and even then Scott's journey of atonement reaches a dubious conclusion. The performances are adequately laid back, Michael Cera playing his usual self but in desperate need of a haircut. He is upstaged by a group of promising actresses perfecting various stages of millennial angst. Mary Elizabeth Winstead, Alison Pill, Brie Larson, Anna Kendrick, Ellen Wong and Aubrey Plaza do their best but fail to jolt the movie away from its worst infantile masculine tendencies. The less said about Scott's male combat opponents, the better, other than Chris Evans and Jason Schwartzman show up and contribute to the ineptitude. Scott Pilgrim vs. The World tries to riff on nostalgic themes, but the dreaded Game Over message appears all too soon.